"My now-wife, Ashley Post, and I recently worked with Jenna Wittbold, owner of Your Sparkling Event for help in planning our wedding. Originally I had thought that my fiance and I could tackle the planning and execution of creating a dream wedding on our own. We very quickly learned the amount of time, money, research, organization and STRESS that goes into trying to plan your own wedding. I reached out to Jenna and after speaking with her on the phone and meeting in person, we immediately recognized her value which came through her knowledge & experience of wedding/event planning, Jenna's ability to leverage her extensive network of vendors & contacts, and her willingness to listen to & understand our wants/needs/expectations. The best decision I made... of course, 2nd to marrying Ashley, was retaining Jenna with Your Sparkling Event's services. Jenna quarterbacked our entire wedding planning process. She was involved in every step: touring different venues until we found the right one, guidance with the bride/groom/wedding party attire, photography, videography, DJ, floral, save-the-dates/invites, food/appetizers/hor d'oeuvres/bar, rehearsal dinner planning... you name it! My wife Ashley and I really only got as involved as we wanted & needed to be. When the day finally came, 1/19/2019, my bride Ashley and I felt calm & confident, knowing that we could enjoy our wedding day and expect it to go "as planned", because of our partnership with Jenna of Your Sparkling Event. Jenna and the Your Sparkling Event team, we cannot thank you enough for creating our DREAM WEDDING! There is absolutely NO WAY we could have pulled it off without you. Your professionalism, attentiveness, industry knowledge/experience and resourcefulness were evident throughout our time working with you. If we could give Your Sparkling Event a 6 star review, we would have! Jenna and team... On behalf of Ashley, myself and the entire Post/Grupp family, we will be forever grateful for you for planning us the BEST WEDDING IMAGINABLE!" - Reviewed On 1/26/2019 Ryann P.
"Your Sparkling Event is the best event planner, they will handle all of your needs and exceed your expectations. My daughters wedding would not have happened without them. Their attention to detail, made it all happen. Their level of service and personal attention is like no other. Jenna and Kim are the best, and we can never thank them enough for all of their assistance. They are part of our family now and we love them. Look no further than Your Sparkling Event for any future events." - Reviewed On 1/23/2019 Cindy G.
"Jenna, We have received so many gifts through this wedding journey I can hardly name them all. Just two months ago , I could never have imagined that we would be standing on this side of February 18th feeling so happy and gratified on the flawless outcome . Every second of this pleasure we owe to you and your staff at Your Sparkling Event. Jenna you are a maker of dreams, interpreter of visions and owner of a special wand that sprinkles magic over everything. You know when things are "a perfect fit" and know the meaning of " just right". You start with a better idea of what that looks like and transform it into what was our dream all along. We could not be more pleased. Thank you for coming to our rescue so many times. I never got tired of the follow up phone call " I'm just calling to make sure that you are ok." You did everything we asked for and things we only dared to ask for always with a smile on your face and a breezy demeanor. When the wedding day came, the entire day was all under control nice and smooth. My wishes for a stress free wedding and the dream wedding for my daughter were realized. The last unexpected gift was getting to know you personally. You are a beautiful ,thoughtful woman with an enormous heart. Thank you for all the fun and special moments!" - Reviewed On 5/18/2018 Lilli P.
"Jenna and Marion were a pleasure to work with. When my venue was difficult (always), they were ready with the answers and made up where my venue lacked. I did lots of the decor myself which meant there were lots of personal items for their team to set up which they executed happily. If Jenna and her team hadn't been there day of, I would've never been able to get my hair or makeup done and the ceremony never would've started on time. They dealt with so many sloppy venue errors so my guests never had to know - I think there were so many you could probably say they saved the day! I also wouldn't have been able to enjoy my day as a bride. If you're considering hiring a planner, do it. Jenna and Marion will be a great compliment to your wedding team." - Reviewed On 12/07/2017 by Tiffany G.
"Jenna was so awesome to work with. We'd communicated via email and phone for quite some time before we met in person, but when we did, it felt like I was meeting a friend. She is so knowledgable, patient, and fun. It was such a relief to turn everything over to her, and Jenna &her team did not disappoint....including leaving us a beautiful surprise in our room after the wedding. If you need someone to entrust one of the biggest and best days ever, Jenna is 100% your girl!" - Reviewed On 6/19/2017 Tara M.
"Jenna Smith and her team at Your Sparking Event were phenomenal! They were professional, courteous, knowledgeable and thoroughly attentive during all aspects of preparation! The time and attention to detail as well as Jenna's undivided attention were second to none! The company is truly first class! Thank you for a wonderful experience!" - Reviewed On 6/10/2017 Debbie H.
"Jenna and her team were absolutely amazing to work with. When we first met with Jenna, she took a look at all of my ideas and what I wanted and really wanted to understand my style and vision. She was able to take all of my ideas and refine it into exactly what I wanted better than I was. She connected us with the best vendors for our style, and was spot on with what we wanted. Jenna takes the time to get to know the couple and then works behind the scenes to give you exactly what you want. Her team was always available for anything big of small. She kept both Chris and I on a month to month to do list that kept us stress-free the whole process. She was absolutely amazing to work with, professional and personable. I can't recommend them enough. We love you, Jenna!" 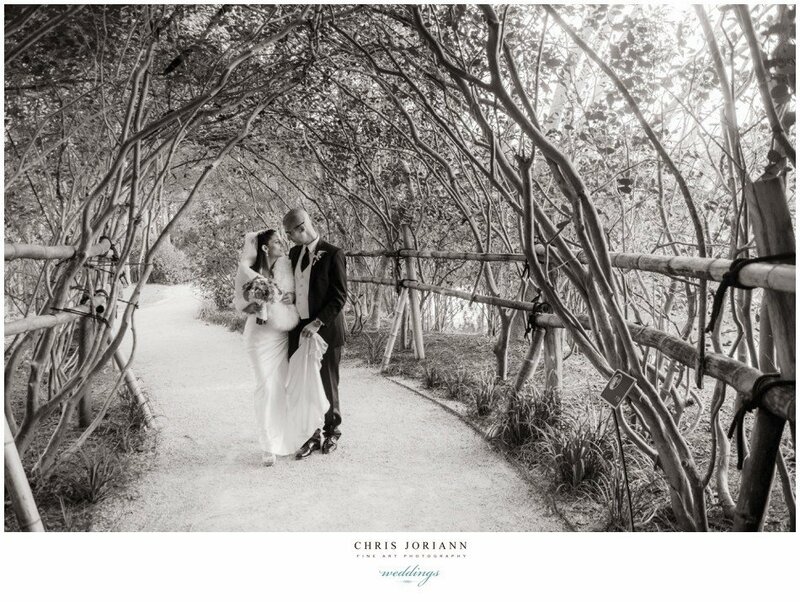 - Reviewed On 6/09/2017 Chelsea R.
"Jenna and her team did an amazing job executing our very special day to make it perfect. From her professionalism to her attention to detail - she is truly one of a kind. Thank you Jenna for making our day the best day ever!" - Reviewed On 11/01/2016 Kaye H.
"Jenna and her team are so on top of things! We used her as our rehearsal and day of coordinator. The goal was for my Groom and family members to just enjoy the day, and we sure did. If something went wrong I do not know about it. Even before the wedding Jenna got back to us and gave us her inside knowledge to get the best vendors and for the best price. I HIGHLY suggest using her. This is your wedding day and you should enjoy it. With Jenna you are in great hands and don't have to worry about a thing!" - Reviewed On 10/31/2016 Rebecca E.
"Jenna and Marion were absolutely wonderful! From the first day Jenna met us to the last detail of our wedding she was on top of everything. If there were any hiccups I was totally unaware of them. I felt so relaxed and at ease knowing her and her team were there to handle it all. If I had to deal with it myself it would've been a nightmare. I recommend her to anyone and everyone. She will make sure your day is perfect and that you don't worry about a single thing. Thank you from the bottom of our hearts Jenna! Tina and Michael Dees" - Reviewed On 5/23/2016 Tina C.
"We hired Jenna to plan our destination wedding. She was an absolute pleasure to work with! She guided us toward the perfect vendors and set us up to meet with them seamlessly when we visited the resort. She thought of every detail and helped us create the best night of our lives! Thank you Jenna!!" - Reviewed On 1/22/2016 Amanda F.
"Jenna was a great help in all our planning for my daughters wedding. From suggesting vendors, ideas, and time lining every detail, she simply was indispensable !!! The "day of" would have never been as relaxing and fun without Jenna doing all the "dirty" work. When we finally saw the finished details Everything was picture perfect!! 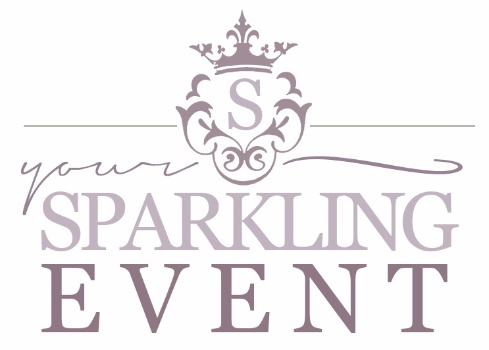 I highly recommend Your Sparkling Event for all your special occasions!!" - Reviewed On 8/09/2014 Celise K.
"Your Sparkling Event was crucial in the success of my mother's wedding at The Jupiter Beach Resort. The wedding was flawless, as Jenna's attention to detail, organization, and execution are incomparable. She handles everything with such poise and composure, you would never know she is doing 100 tasks at a time. She made contact and met with the florist, baker, photographer, officiant, catering manager, guitarist, and event coordinator at the hotel so the bride and groom didn't need to. She set up every detail including place cards, favors, table accents, flip flops for guests, personalized water bottles, and many more. She made sure the guests were seated and the bridal party was out on time. She coordinated the guests to go inside for cocktail hour while the newly weds took pictures on the beach. She made smooth transitions to dinner, speeches, cake, and closing. Jenna took it to the next level by personally carrying all of the gifts, décor, and center pieces to my mother's room so the newlyweds didn't have to stress that detail. While she was up there so romantically decorated the room with rose petals and special touches. Hiring a wedding planner is the single most important must have of a beautiful, successful, and stress free wedding. The wedding would have been impossible to execute without Your Sparkling Event. I highly recommend Your Sparkling Event and I can assure you that you will feel the same way!" - Reviewed On 7/25/2014 Katherine T.